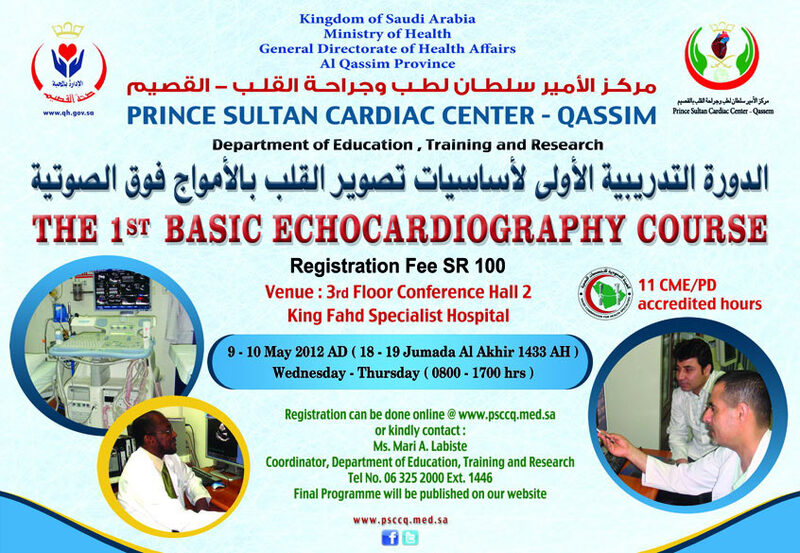 Prince Sultan Cardiac Center Qassim will organize the First Basic Echocardiography Course," on Wednesday and Thursday 9-10 May 2012AD - 18-19 Jumada II 1433 AH. 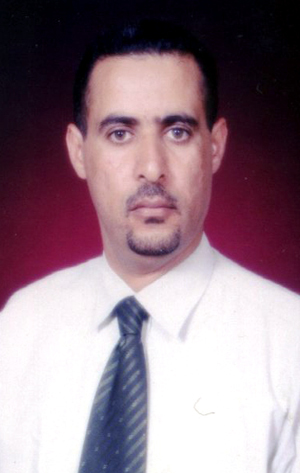 The Head of Non-invasive Department in the center, Course Director of the course Dr. Mohammed Saied said that the course will focus on the most important rules of the medical examination of the heart, anatomy of the heart and functions, and evaluated by testing two-dimensional "Doppler" with the diagnosis of common diseases of the heart through sound waves. He pointed out that the trainees will have the opportunity to practice hands-on, how to conduct testing and cardiac imaging. Please "click here" for outline.